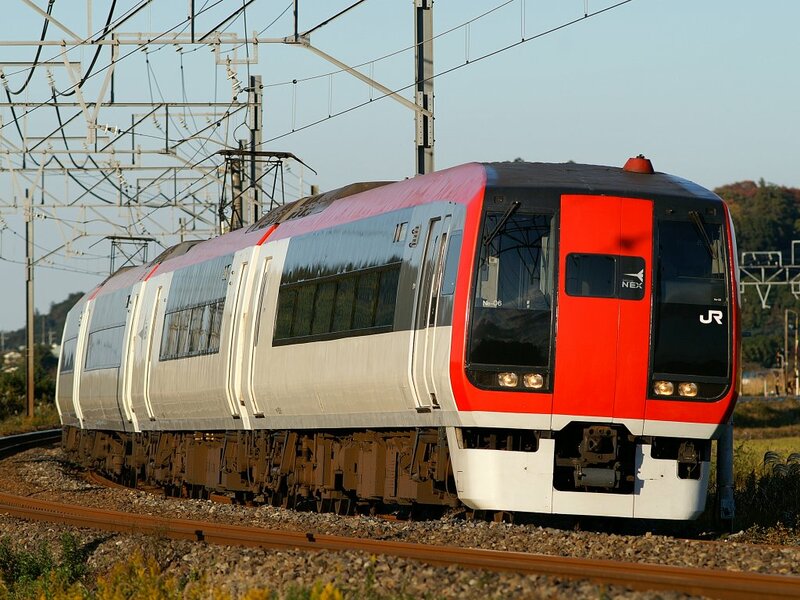 The Narita Express was introduced as JR East's way of connecting Tokyo and the surrounding cities with Tokyo's international airport, which is an hour out of Tokyo. 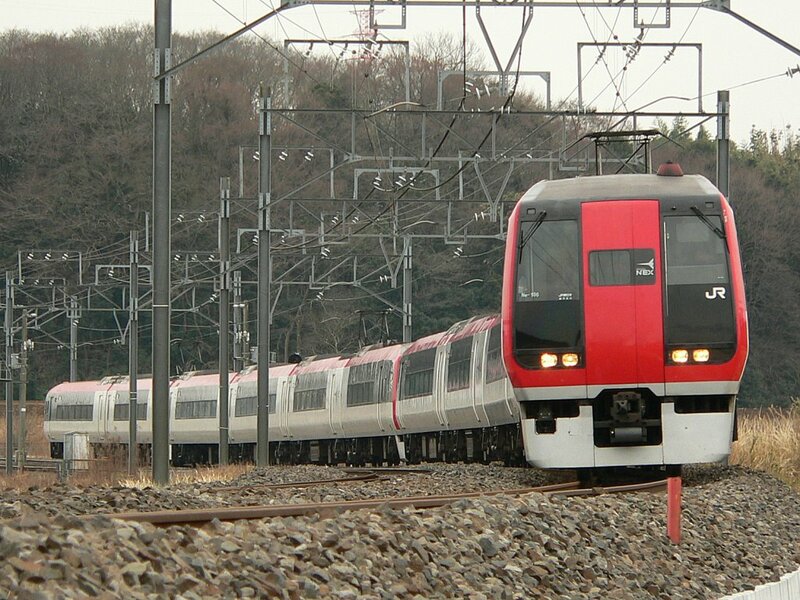 This is one of the first trains tourists may see as they leave the airport and head into Tokyo. Up until 1991, people had to change to a bus from Narita Airport Station, which happened to not be inside the airport's grounds to get there. There was a plan to create a Shinkansen that connected Tokyo with Narita Airport but this ended up being cancelled while still under construction. It was eventually decided to use the infrastructure created for the Shinkansen to build a line that actually went inside the airport. A new limited express train was also planned for this route. 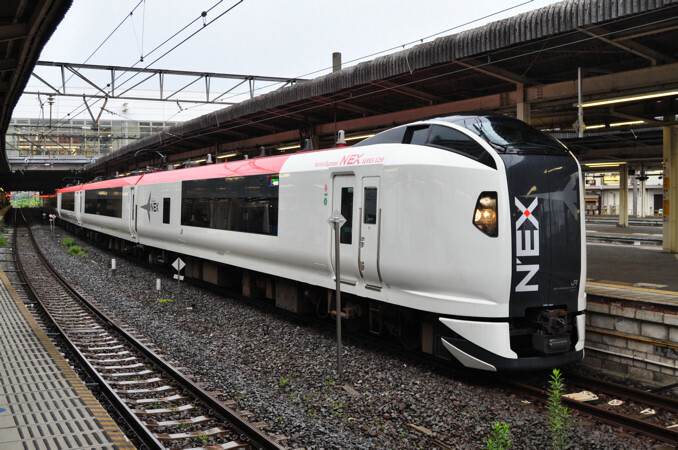 JR figured that because it's an international airport, they needed a train with an English name and gave it the name of Narita Express or N'EX for short. Since its creation, the Narita Express has been operated with its own trains designed exactly for the this route. The first was the Series 253 which ended its rather short service life in 2010. The current train is the Series E259. The Narita Express stops at Tokyo Station's underground platform, making access from other train lines somewhat time consuming.